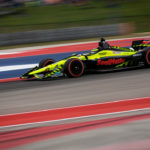 Sebastien Bourdais drove one of the greatest races of his career, passing more cars than any other driver including a sensational three car pass that is being referred to as the “coolest” ever. Unfortunately, an untimely yellow flag ruined all his hard work. Bourdais, who qualified the No. 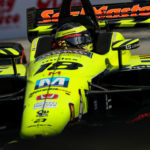 18 Team SealMaster – Dale Coyne Racing with Vasser-Sullivan machine ninth, started the race on the Firestone black primary tires. He was one of only three drivers in the top 10 to do so, the other seven opting for the red alternate tire. Never-the-less the talented Frenchman was not only able to defend his position, but attack. 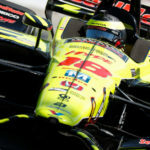 After an opening lap incident took one car out, damaged another and saw a third penalized for “avoidable” contact, Bourdais found himself in sixth place after the first five laps of the 85-lap contest. 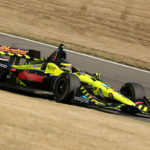 He then passed another car to move into fifth and two other competitors chose to pit early putting Bourdais in third place prior to pitting for the first time. 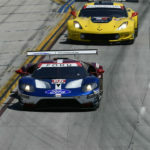 He rejoined the race in fifth place, but passed another two cars to move back into third. 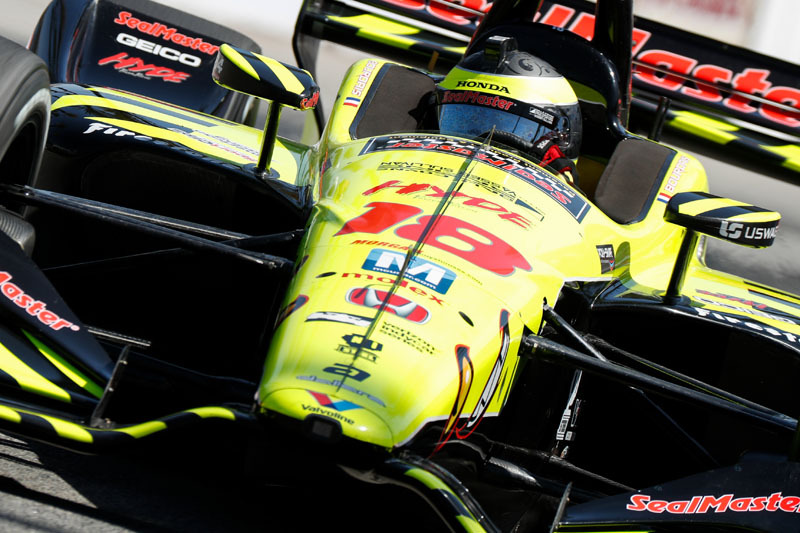 On the restart following the second caution of the race, Bourdais found himself behind race leader Alexander Rossi, two lapped cars and Scott Dixon. He got the jump on Dixon, but Dixon did not see him and pushed Bourdais toward the pit lane. Bourdais collected himself, passed Dixon for second place and skated between the two lapped cars passing both. It was without question one of the most incredible moves ever seen and had veteran racers and fans alike going absolutely crazy. Unfortunately, during the action, Bourdais was forced over the blue line marking pit lane. As a result, Race Control ordered him to give up the position to Dixon. On the very next lap, an irate Bourdais, simply passed Dixon again to retake second. What happened next can only be described as bad luck. In an effort to gain track position the team decided to stay out for several laps after their fuel window opened. The move appeared to work, however just as he was going to pit a yellow flag came out closing the pits. 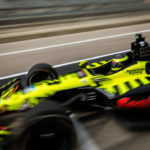 Bourdais had started to enter pit lane, but had not crossed the beacon and therefore had to drive through pit lane at 60 mph losing valuable track position. He eventually pitted a couple laps later compounding the problem. He rejoined the race in 11th place. What ensued next was a series of incidents not of his own making including the most serious which saw him hit from behind and spun around. He ended up 13th. “It was such a frustrating day. Full attack, really good car, the SealMaster Honda No. 18 was really hooked up. I had a pretty good feeling in the warm-up and the conditions stayed the same for the race. It was a tough call to start on Firestone blacks (primary tire), but I was confident it was the right thing to do as long as I could hold my position at the start and that is exactly what happened. Thankfully, the start was stretched so I wasn’t under attack until I was up to speed. Then I really started to push hard because I could tell the guys on red tires (alternative tires) were in conservation mode. So I started to think this could be a pretty good day. I passed a bunch of cars and when I got to (Scott) Dixon that is when I held station. He was driving really well. He had the pace because he had saved his tires. We got to the first pit sequence and Dixon, I am sure short filled and jumped (Will) Power. We stayed on schedule and put on red tires and at that point it looked like the race was coming our way. Clearly, Rossi was on a different planet, but other than him we were right there. I got Dixon on the restart and Race Control deemed that a violation. I thought that was interesting because I am not quite sure what I was supposed to do. I was committed. There was room and he didn’t see me so he came down on me and pushed me into the pit lane. If you get forced into the pit lane, I am not sure it is your responsibility. So I got rather upset, so I passed him right back. I was pretty happy about that. Then we were just cruising. Unfortunately, as a group we took a chance to stay out too long and then it went yellow. Race Control could have waited a couple seconds before closing the pits, but they didn’t and we went to the back where we had to race idiots. I was racing Kimball side-by-side and he gives me no room and he bent both of my toe links on the right side. It was pretty much game over from there. I made a mistake because of it trying to pass him again later going into Turn 9. The car wouldn’t turn anymore. Then in the next corner Jordan King felt like a hero and took us out. After that I had to deal with another idiot, Matheus Leist, who tried to crash both of us a couple of times. There really wasn’t much to salvage after that. It’s really disappointing.